A mahāvidyā inference is used for establishing another inference. Its Reason (hetu) is normally an omnipresent (kevalānvayin) property. Its Target (sādhya) is defined in terms of a general feature that is satisfied by different properties in different cases. It assumes that there is no (relevant) case that has the absence of its Target. The main defect of a mahāvidyā inference μ is a counterbalancing inference (satpratipakṣa) that can be formed by a little modification of μ. The discovery of its counterbalancing inference can invalidate such an inference. This paper will argue that Cantor’s diagonal argument too shares some features of the mahāvidyā inference. A diagonal argument has a counterbalanced statement. Its main defect is its counterbalancing inference. 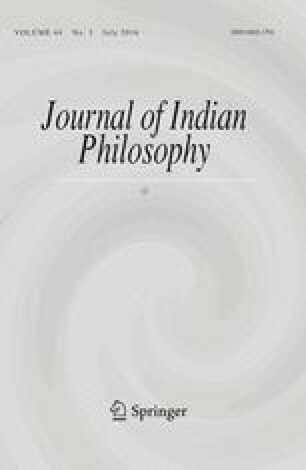 Apart from presenting an epistemological perspective that explains the disquiet over Cantor’s proof, this paper would show that both the mahāvidyā and diagonal argument formally contain their own invalidators.